When you seed another social network into an ecosystem, you are, for the lack of a better word, embracing the tenets of a standing ovation model. The standing ovation model has become, as of late, the fundamental rubric upon which several key principles associated with content, virality, emulation, cognitive psychology, location principles, social status and behavioral impulse coalesce together in various mixes to produce what would be the diffusion of the social network principles as it ripples through the population it contacts. Please keep in mind that this model provides the highest level perspective that fields the trajectory of the social network dynamics. There are however a number of other models that are more tactical and borrowed from the fields of epidemiology and growth economics that will address important elements like the tipping points that generally play a large role in essentially creating that critical mass of crowdswell, which once attained is difficult to reverse, unless of course there are legislative and technology reversals that may defeat the dynamics. 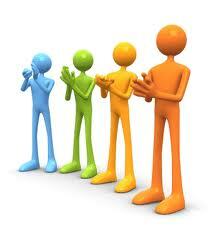 So I will focus, in this post, the importance of standing ovation model. 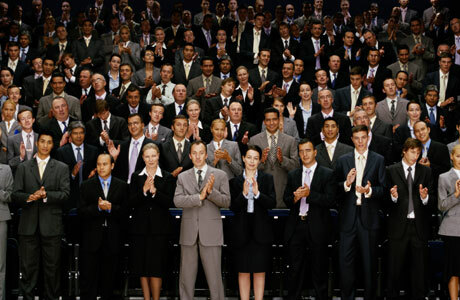 The basic SOP (Standing Ovation problem) can be simply stated as: A lecture or content display in an audience ends and the audience starts to applaud. The applause builds and tentatively, a few audience may members may or may not decide to stand. This could be abstracted in our world as an audience that is a passive user versus an active user in the ecosystem. The question that emerges is whether a standing ovation ensues or does the enthusiasm fizzle. SOP problems were first studied by Schelling. 1. Group Response: If you are part of a group and you have your set of judgments governing your decision to stand up, then are you willing to reserve those judgments to be part of group behavior. At what point is a person willing to seed doubt and play along with a larger response. This has important implications. 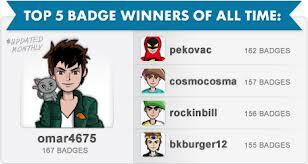 For example, if you are in an audience and a member of a group that you know well, and a certain threshold quantity in the group responds favorably to the content, there may be some likelihood that you would follow along. On the other hand, if you are an individual in an audience, albeit not connected to a group, there is still some chance of you to follow along as long as it meets some threshold for example – if I can see about people stand, I will follow along. In a known group which may constitute you being a participant among five people, even if 3 people stand, you may stand up even though it does not meet your random 10 people formula. This has important implications in cohorts, building groups, providing tools and computational agents in social networks and dynamics to incline a passive consumer to an active consumer. 2. Visibility to the Group: Location is an important piece of the SOP. Imagine a theater. If you are the first one in the center of all rows, you will, unless you turn back, not be cognizant of people’s reactions. Thus, your response to the content will be preliminarily fed by the intensity of your reaction to the content. On the other hand, if you are seated behind, you will have a broader perspective and you may respond to the dynamics of how the others respond to the content. What does this mean in social dynamics and introducing more active participation? Simply that you have to again provide the underlying mechanisms that allow people to respond at a temporal level ( a short time frame) to how a threshold mass of people have responded. Affording that one person visibility that would follow up with a desired response would create the information cascade that would culminate in a large standing ovation. 3. Beachhead Response: An audience will have bias. That is another presumption in the model. They will carry certain judgments prior to a show – one of which is that the people in front who have bought the expensive seats are influential and have “celebrity” status. Now depending on the weight of this bias, a random person, in spite a positive audience response, may not respond positively if the front rows do not respond positively. Thus, he is heavily inclined to discounting the general audience threshold toward a threshold associated with a select group that could result in different behavior. However, it is also possible that if the beachhead responds positively and not the audience, the random person may react positively despite the general threshold dynamics. So the point being that designing and developing products in a social environment have to be able to measure such biases, see responses and then introduce computational agents to create fuller participation. Thus, the SOP is the fundamental crux around which a product design has to be considered. In that, to the extent possible, you bring in a person who belongs to a group, has the spatial visibility, and responds accordingly would thus make for an enduring response to content. Of course, the content is a critical component as well for poor content, regardless of all ovation agents introduced, may not trigger a desired response. So content is as much an important pillar as is the placing of the random person with their thresholds of reaction. So build the content, design the audience, and design the placement of the random person in order that all three coalesce to make an active participant result out of a passive audience. Posted on October 14, 2012, in Leadership, Learning Organization, Organization Architecture, Ovation, Social Dynamics, Social Gaming, Social Network, Social Systems, Virality and tagged applause, audience, copy, emulate, group, leadership, motivation, product design, recognition, social dynamics, social network, social networks, social normns, virality. Bookmark the permalink. Leave a comment.